I am still exploring the stitches on the 770QE that are suitable for quilting. Most of the stitches are the same as the 820 so not too big a learning curve. One of my favourite stitches on the 820 was stitch number 4 which is the same stitch on the 770QE. I have therefore updated the post I did on the blog several years ago. Not all the stitches on the machine are suitable for quilting. 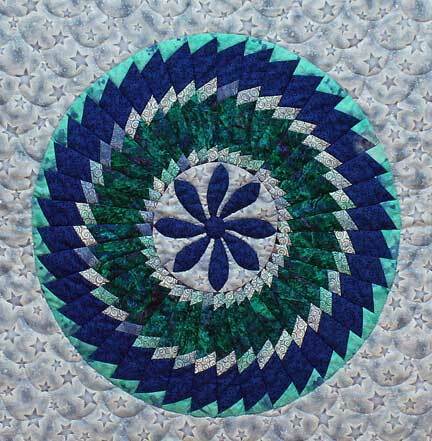 I thought I would try to feature a stitch suitable for quilting with the dual feed every week on my blog. Not everyone is confident with free motion quilting so these stitches are can be used by those sewers who prefer to work with there walking foot. Below are samples of variations of stitch 4 and how I stitched them. You can get your stitches to look like this by changing the stitch width and stitch length. These stitches are all 9mm wide. Draw up either a horizontal or diagonal grid of your preferred size. I used a 1″ grid for the sake of demonstration but you can use a 2″ or 3″ grid etc on your quilt. Put the 20D open toe applique on and engage the dual feed. The top row of stitching is the default setting for stitch 4 so no changes have been made. 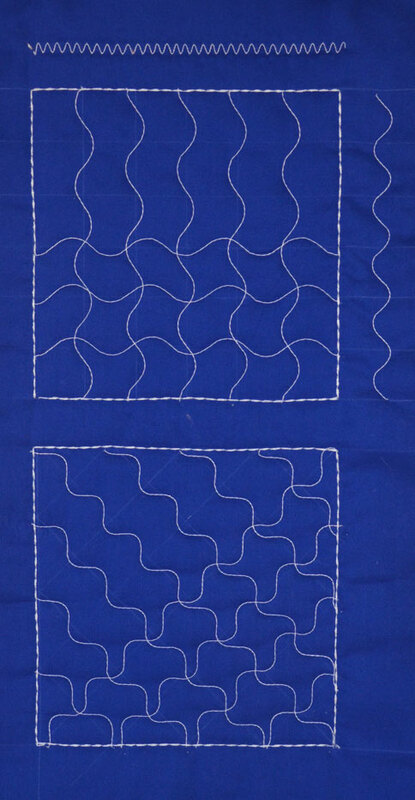 This grid can be sewn either as parallel lines or cross hatched, both variations are shown on the Sample. Diagonal grid settings are:- Width 9mm and Length 3, you can see that by decreasing the stitch length the curves have become more wavy. This grid can also be stitched out as parallel lines or cross hatched. The choice is yours!